It has been more than half a year since I posted this, but recent events have caused a spike of interest in this post which is getting over a thousand hits a day, give or take. People ask me to look into a crystal ball and I think that it is unlikely that there will be war. 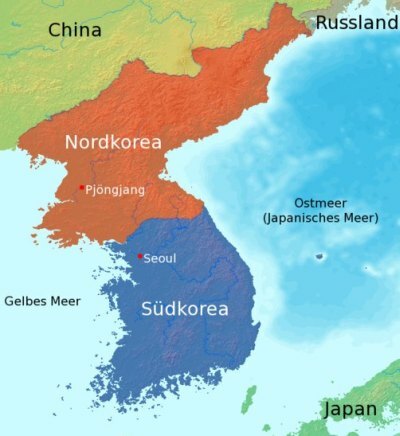 North Korea has had a relationship to China not unlike that which Bulgaria had with the former USSR -eg. Need the Pope shot? Get the Bulgarians to do it. The Chinese are unlikely to accept having nuclear missiles capable of hitting Beijing NOT under its direct control. China’s signing of the UN sanctions came at some cost to the US -likely an agreement to forego pressing on the hacking attacks on the US homeland. This may be a way of purging internal enemies in North Korea -of getting rid of Korean patriots there by ferreting out dissent or even the less than enthusiastic support of what is clearly a suicidal act of national policy. Imagine South Korean capital combined with North Korean labor with three decades of intensive work to eliminate the culture of casual corruption and establish the rule of law and democracy in the south. It would be, after a decade or so of adjustment, a top 5 world economy. I don’t think China would not accept this unless Seoul is a radioactive slag heap with the fallout blowing to Japan. the Pacific, and the US west coast.